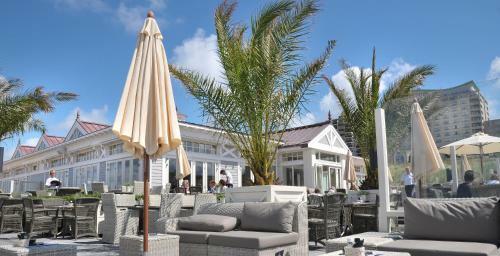 It's hard to beat a beachfront location like the one at the Grand Hotel Huis Ter Duin. You can also expect free high-speed internet access an indoor pool children's programs and French cuisine in the hotel's Michelin-rated restaurant. Cable TV complimentary high-speed internet access desks bathrobes slippers and minibars are included in all 254 rooms of this mid-rise beachfront hotel that dates from the 19th century. Non-smoking rooms are available. Enjoy meals in the hotel restaurants and when you find too many dishes irresistible slip into the indoor pool for a swim visit the fitness center for a workout or play a game of tennis. And don't forget to schedule a massage in the hotel spa. Children's programs are available and childcare concierge business currency exchange and valet dry-cleaning services are offered. Pets are permitted for a fee. 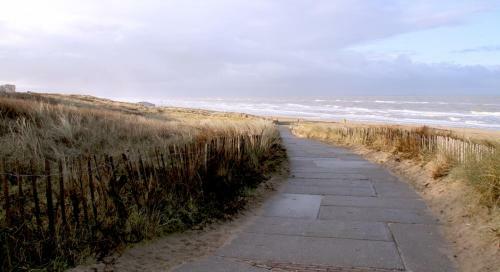 Enjoy the view of the sea from your room the hotel restaurants or right from the beach which is yards from the hotel. Scout out restaurants in town; there are a number within a half-mile of this location. Amsterdam Airport Schiphol is 20 miles from the hotel.